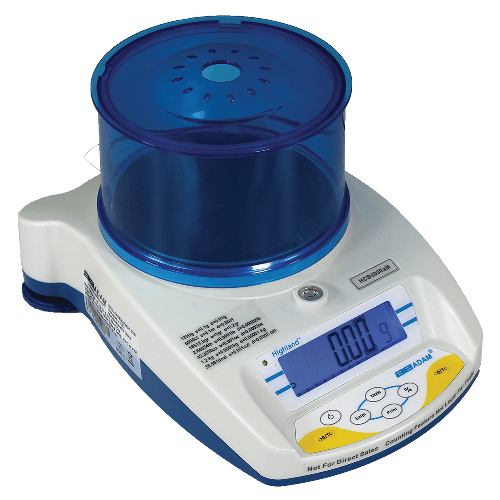 Highland approved portable precision balances are packed with features and meet Class II requirements for use in retail applications. Readings are provided in carats, grams, or kilograms. The Highland includes RS-232 and USB interfaces, rechargeable battery and AC operation, capacity tracker, adjustable feet and level, lockdown capability and more. The Highland's innovative design features a removable draft shield to minimize the effects of drafts. ShockProtect® helps prevent overloads to maintain smooth, uncompromised performance. With built-in applications for parts counting, percentage weighing and totalization / accumulation, the NTEP-approved Highland is an outstanding value for legal-for-trade applications. A video tutorial of our Highland approved portable precision balance. The Highland is a highly-versatile scale well-suited to laboratory, industrial and commercial settings.